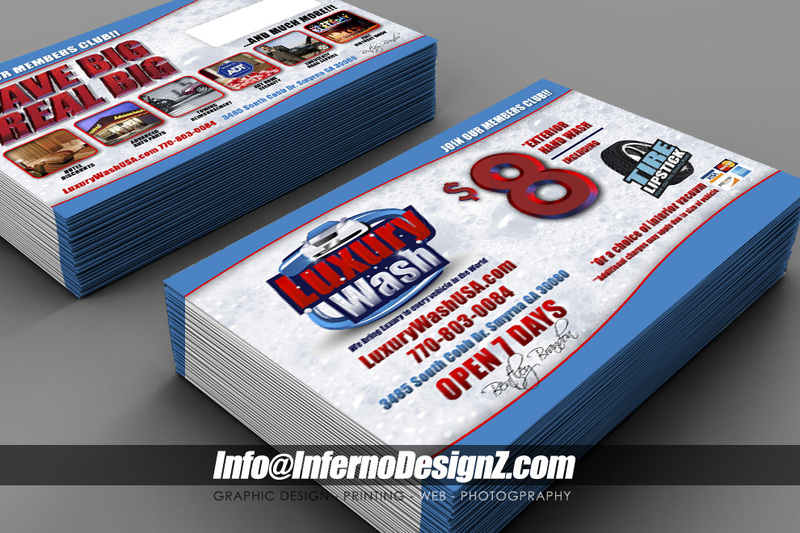 Luxury Carwash is a private car wash center in Smyrna Georgia. Customizing in Hand Wash and Car Detailing. Here are a few promotional items that we designed and printed for them. 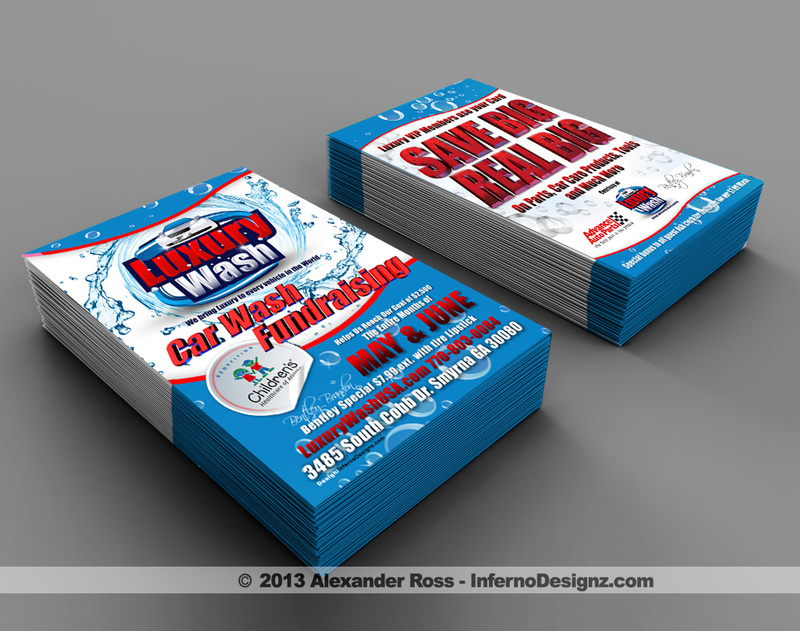 The basic 4×6 Flyer for Promo Use, printed on an extra thick 16pt. Card Stock and Glossed with Full UV. 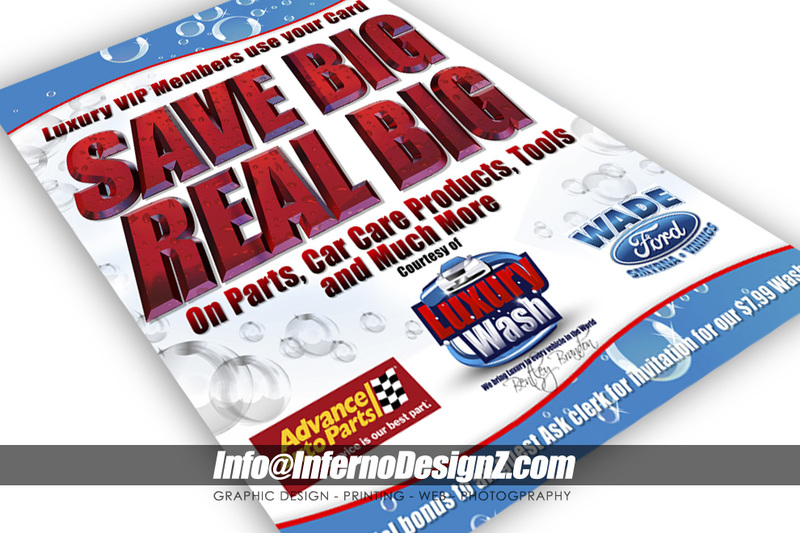 The 18×24 Promo Posters for a promotion with Advanced Auto Parts and Wade Ford of Smyrna, printed on a durable 100lb Poster Weight with AQ Gloss Coating. And the 6×9 Postcard Mailers, for Direct Mailing Services, printed on an extra thick 14pt. Card Stock with Full UV Gloss.